We’ve almost hit the end of June. Summer’s on and the year is half up. We’ve got our book now sitting in the July issue of Previews. 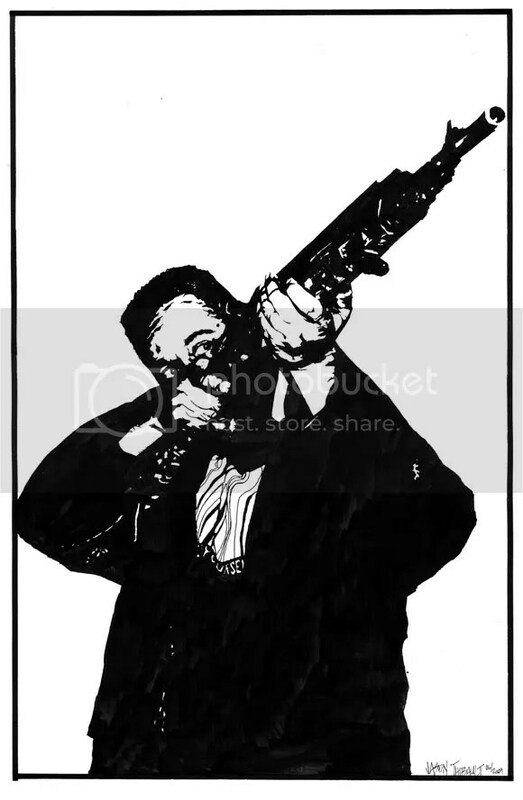 You may have spotted this postage-sized image in it. It can be found in the independent comic section under Optimum Wound. Order code for your local comic shop is JUL09 1019. It’s hitting shops in early September. You can pre-order it at your comic store and soon on Amazon. Congrats to Margo for winning our first contest a few weeks ago. Your package finally went out and you should be receiving your artwork and Rex graphic novella shortly. 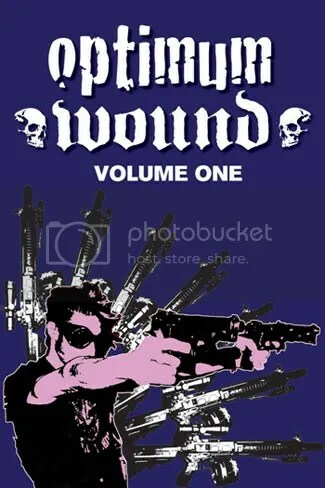 And now we come to our second contest in celebration of the release of Optimum Wound Volume One. This is a larger pen and ink drawing measuring 11 inches wide and 17 inches tall. And it’s yours to win. As the usual bonus I’ll send you a copy of Danijel Zezelj’s Rex in the package. Just answer this question in the comments section. Now that 2009 is almost half over what do you most hope to accomplish by the end of the year? 1. Leave your answer on the comment section of this blog. 2. You’re only allowed to post once. I read every comment so I’ll know. 3. Private messages or emails don’t count, it has to be posted on this blog. 4. You have to leave a comment before 11.59pm PST on Monday, June 29th, 2009 to be eligible. BEST ANSWER WINS. Then I’ll contact the winner by email and announce them publicly next Friday, July 3rd on the Contest #3 blog. 5. This contest is open to ANYONE in the world. If I have to pay shipping to South Africa or New Zealand, that’s MY problem.